No fish sauce? No problem! 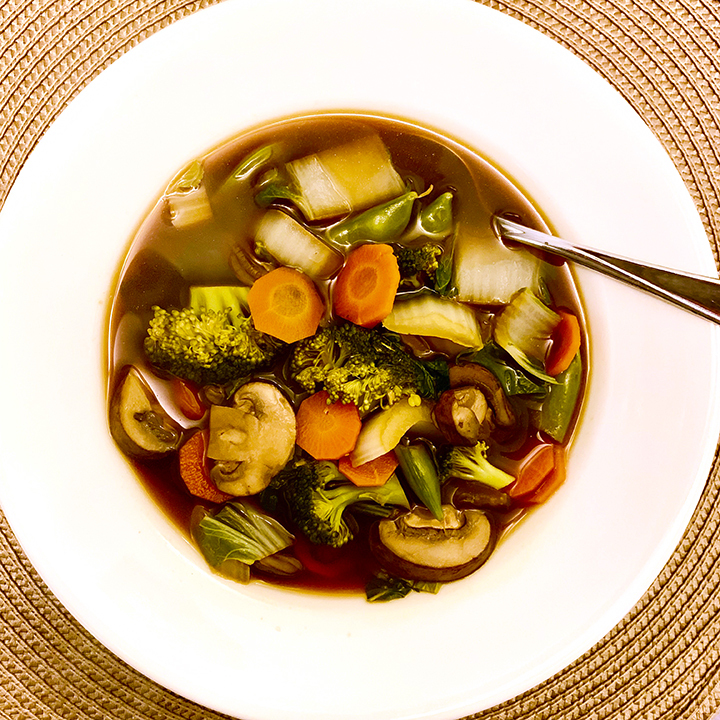 Richard’s Famous Garlic Salt beautifully balances the slightly salty, slightly sweet dark broth filled with healthy, crunchy vegetables. Serves 3-4. Put first four ingredients in a soup pot. Bring the broth to a boil. Add all vegetables except for bok choy. Bring back to boil, then cook over medium heat for about 10 minutes. Add bok choy, then cook about 5 minutes longer. You can adjust cooking time depending on how crunchy you like your veggies. Ladle into soup bowls.